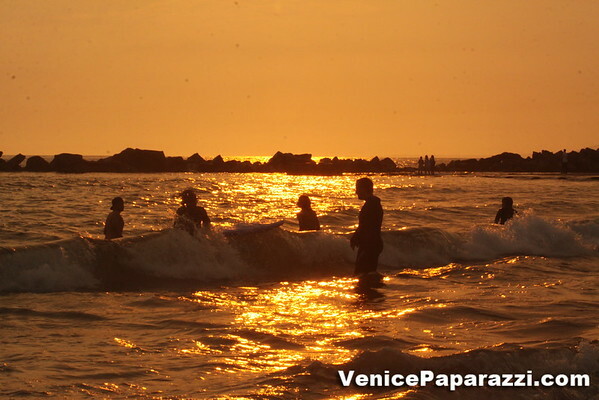 SUGGESTED ACTIVITY: Watch a Venice Sunset. Perfect for dates, family outings, meditation, etc. 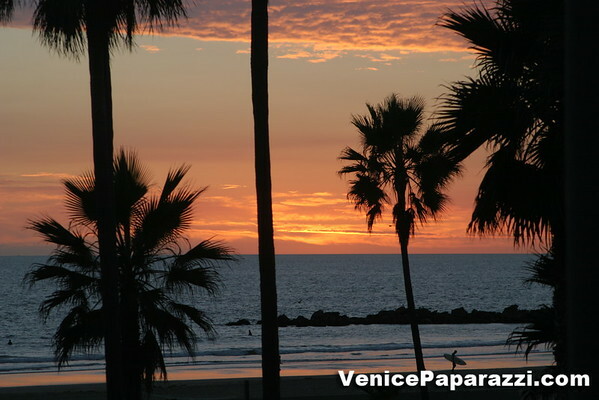 Also, why not plan a sunset beach jog or walk. 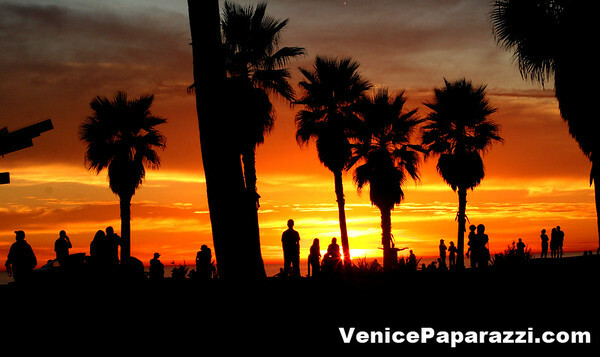 BEST TIME OF YEAR TO WATCH A SUNSET IN VENICE: Everyday, however make it a point to watch a sunset during the winter months. This is when the sunsets are the most amazing. That is when the colors are most concentrated and the sunsets drop directly west into the Pacific Ocean. During the summer months, the sunsets fall behind the Santa Mountains. 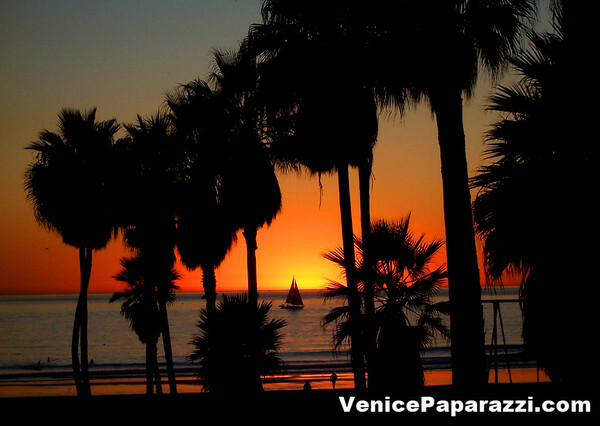 BEST LOCATIONS TO WATCH A SUNSET IN VENICE: Everywhere but if you want to watch a view from a high angle, check out the best 360 degree view of Venice at High’s Rooftop Lounge. ABOUT HIGH: High perched atop the Hotel Erwin overlooking the Pacific Ocean. High is the premiere Venice Beach open-air lounge, where the nightly susnet is the main event. HIGH takes full advantage of its outdoor rooftop location and delivers breathtaking, nearly 360 degree views of the city, from famed Muscle Beach and the Boardwalk below to the Hollywood Sign and Downtown L.A. With an inviting, “no velvet ropes” attitude and a comfortable, contemporary design, tourists and locals alike mingle and enjoy a drink menu of premium handcrafted cocktails, artisan beers, interesting wines and light snacks. 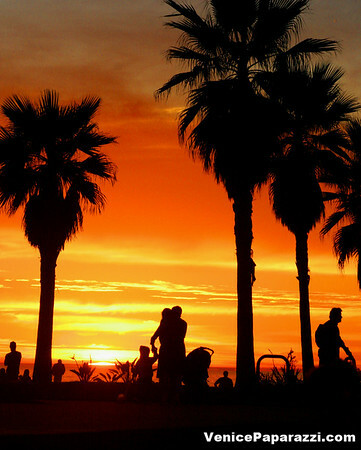 Whether you’re here to try out a new cocktail, relax with some friends or simply to check out the view, there’s no better lounge in Venice Beach than High. We look forward to the return of the summer breeze and full-time sunshine, but for now, please visit our rooftop lounge on Fridays from 4pm-11:30pm and Saturdays from 1pm to 11:30pm. HIGH will be close Sunday through Thursday. HIGH is located in Hotel Erwin. 1697 Pacific Avenue. 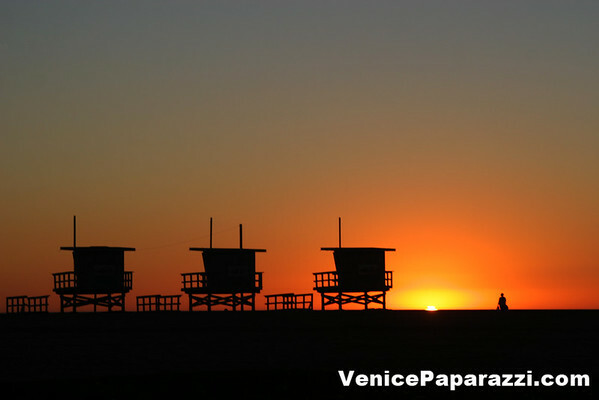 Los Angeles (Venice), CA 90291. 310.452.1111. Sunset is the daily disappearance of the sun below the horizon as a result of the Earth’s rotation. The atmospheric conditions created by the setting of the sun, occurring before and after it disappears below the horizon, are also commonly referred to as “sunset”. The time of sunset is defined in astronomy as the moment the trailing edge of the sun’s disk disappears below the horizon in the west. Due to refraction of light in the atmosphere, the ray path of the setting sun is highly distorted near the horizon making the apparent astronomical sunset occur when the sun’s disk is already about one diameter below the horizon. Sunset should not be confused with dusk, which is the moment at which darkness falls, when the sun is about eighteen degrees below the horizon. The period between the astronomical sunset and dusk is called twilight. 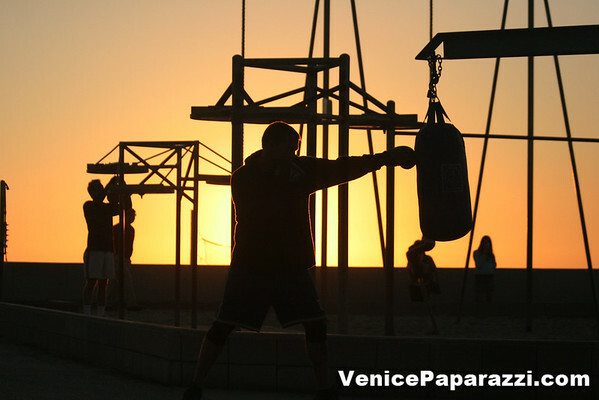 Boxing and speedbag platforms located at the Sandpit. 1800 Ocean Front Walk. Venice, CA 90291. 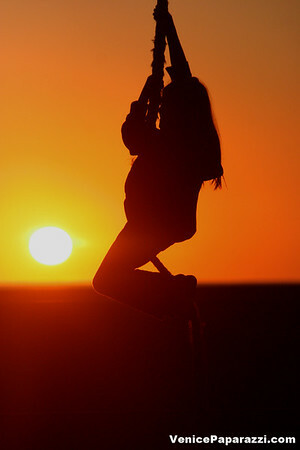 Young girl climbing the rope at the sandpit. 1800 Ocean Front Walk. Venice, CA 90291. Family outing. 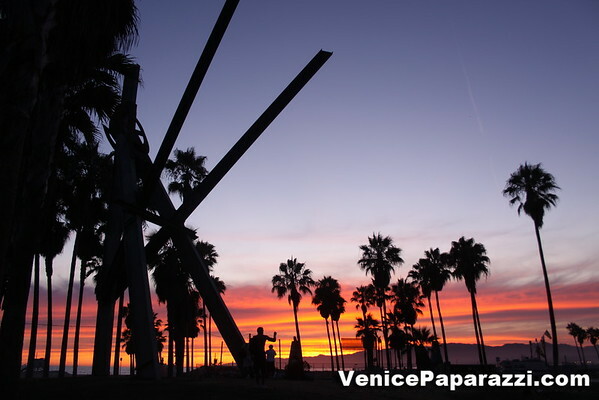 Photo taken at the V-Structure, at the end of Windward Ave and the beach. Public Art Walls and the V-Structure, at the end of Windward Ave and the beach. Summer sunset at the beach.